Everyday UX — Which Airline Do You Prefer? So far, I’ve experienced the following airline traveling within the United States: Delta, United Airlines, Island Air (commuter flight in Hawaii) and today Virgin America. It’s hard to say which one I prefer the most. Delta was the first flight I took after I got to the US. Back in China, if you’re on a plane that’s close to meal time, you always get a meal, let alone snacks and drinks in between. My Delta airline was a 5-hour flight and I naturally assumed the same and had no preparation. I don’t like meals on airlines in general, so I would not pay for it. I was so hungry that I dashed to a Kentucky Fried Chicken when it landed for a layover. From that time, I knew that almost no airlines in this country serve meals for free. United is probably the one I took most. Usually because it showed up as one of the cheapest options during my search. I’m fine with it in general. 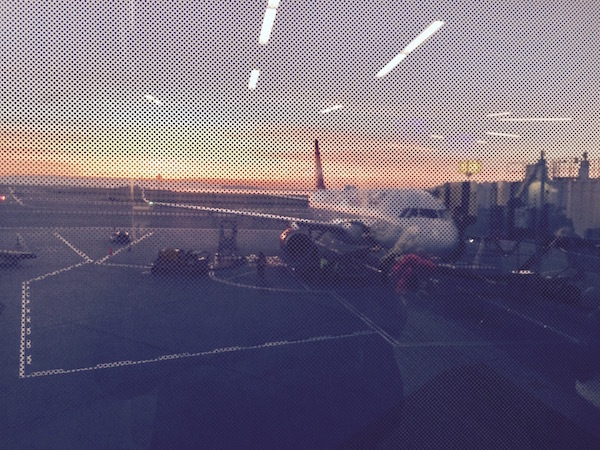 I took Virgin America for the first time this past weekend. Many people saw and were impressed by its famous safety video, so was I. I heard it had pretty good service too, so I decided to give it a try. Apparently, Virgin America is optimized for its most loyalty customers (members, visa card holders, etc) with lots of great benefits, and make many things on-demand, which I’m fine with. I do have a complaint: I was very surprised to find out my seat didn’t recline. It looks like certain sections in the flight act this way. This made my short naps pretty uncomfortable — imagine for five hours, you sit and sleep in a chair that has a straight back. Some of my friends love Southwest, for its flexible refund policy, while some love JetBlue, for its great services and snacks. I’m sure I’ll give them a try at some point. What’s your flight choice and why?